This is the final update. We are busy getting everything set up at the race venue and it’s all coming together as planned! This e-mail contains several last minute updates. If you have missed the rest of the updates you can scroll down to see them. We look forward to seeing you soon! We will be very busy the remaining time before race day. 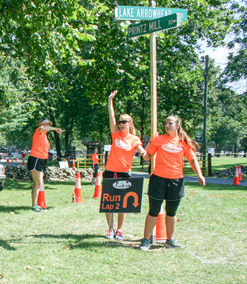 If you have questions after reading the Athlete Guide you can call the Race Director, Ken Racine, at 301-991-0461. Email visibility will be increasingly difficult. 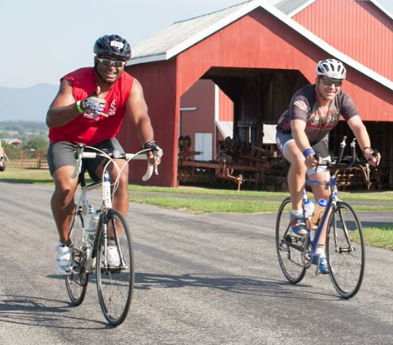 1) Town of Luray – you will be welcomed by the town with open arms this weekend! Restaurants are stocking up and ready to serve you. We ask that you share your involvement in the triathlon so businesses can measure their increased volume related to the triathlon. We also ask that you share your appreciation so that we can continue to have the excellent relationship with the town, as we have enjoyed for the past 10 years. 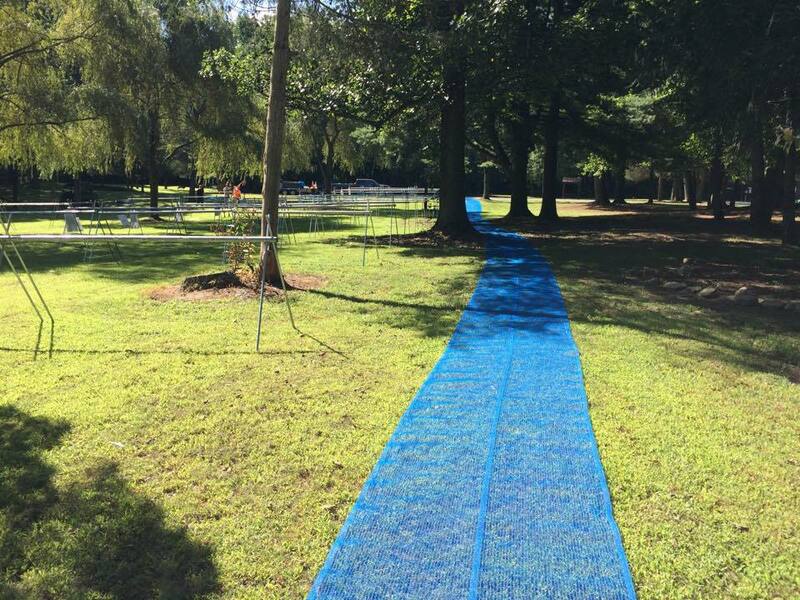 2) Race Course – the course is ready for you! Lots of work has gone into preparing for race day and I am excited about how things look! Enjoy the beauty of Luray. You cannot take a bad picture. We strongly encourage you to drive the bike and run course to get familiar with the layout, elevation and turns. 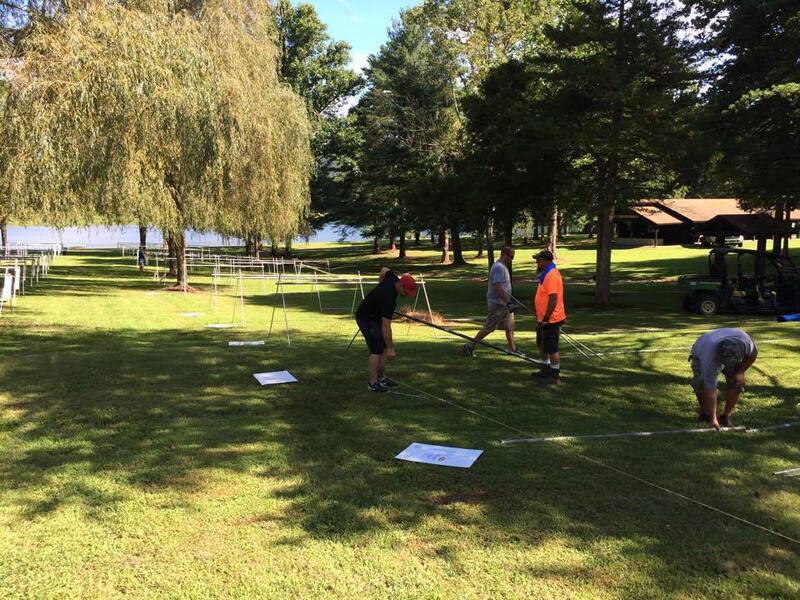 3) Race Venue – We worked hard Wednesday to setup the infrastructure of the venue. Feel free to visit early to check things out. By mid-day Friday most of the venue will be setup. 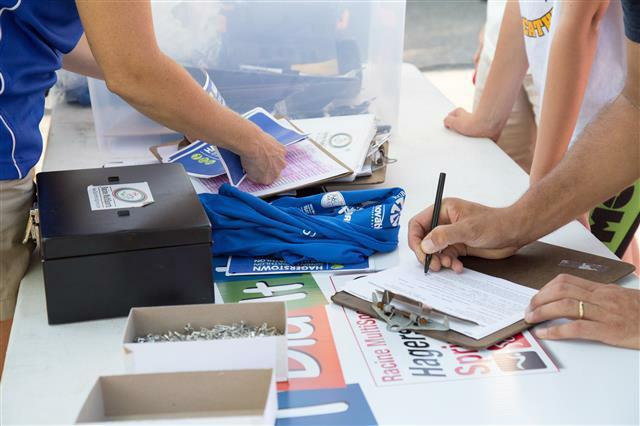 4) Packet Pickup – Please consult the Athlete Guide for details about Packet Pickup. We want to emphasis that everyone must check in themselves to receive a wrist band. Remember to have your Photo ID and if you are a USAT member, please have your member ID as well. NO ID = NO RACE! One Day licenses only need a Photo ID. 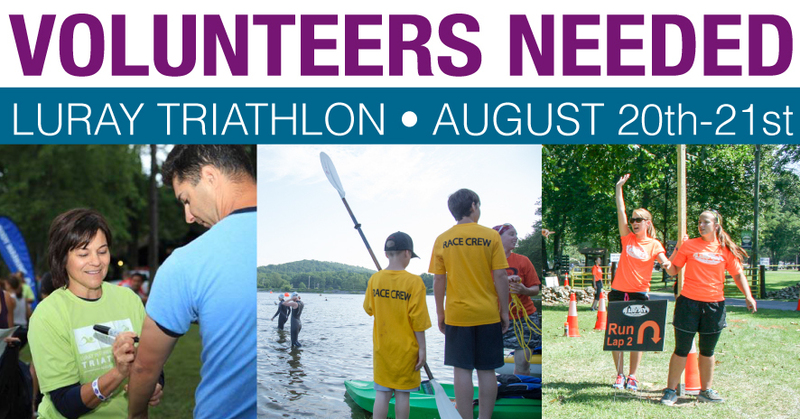 5) Volunteers – we have recruited 300 volunteers and 30+ staff members for race weekend! They will be wearing green volunteer shirts. Please don’t hesitate to ask for help. If the volunteer is not able to answer your questions just ask to speak to someone in charge. 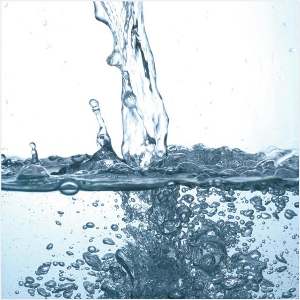 6) Water Station – as you arrive at the race venue on race morning we will have a water station containing ice water that is there for you to use before your race. It will be located next to the registration pavilion. 7) Water Temp – we are seeing warm water temps all summer as the hot and humid weather has continued. Please be prepared that wetsuits may not be allowed. It’s impossible to say what the water temps will be on race day but with recent water temps as high as 84 degrees we want to remind you that at 84 and higher absolutely no wetsuits are allowed. If temps are between 78.1 and 83.9 wetsuits are not legal but they can still be worn but doing so will result in being removed from award categories. 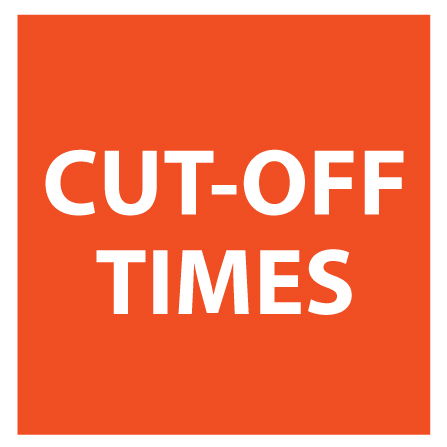 Cut-Off Times – We have updated the cut-off times to give everyone more time to complete the race. The Sprint Triathlon was 3 hrs and now is 3 hrs 30 min. The International Triathlon was 4 hrs 15 min and now is 4 hrs 45 min. 1) Athlete Guide – Athlete Guide is now available HERE. 2) Swim Waves – Swim Waves are now availalbe. 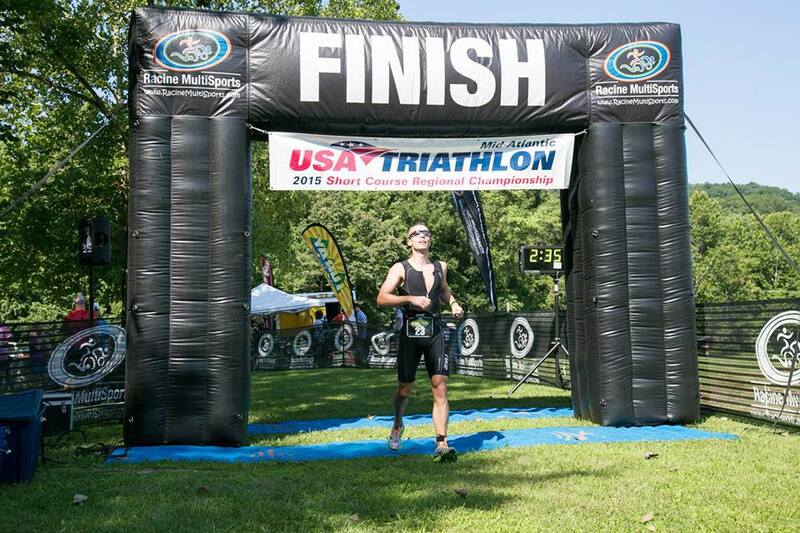 3) New Awards – new for 2016 we will be honoring the fastest men and women age groupers! We will pull the top three overall men and women and award them. By pulling them from their age group it will allow others to move up. 4) Award Ceremony – please be aware that with the Club competition on Saturday and the Short Course competition on Sunday that our awards ceremony is jammed packed with awards. Please allow more time than usual for the awards ceremony. 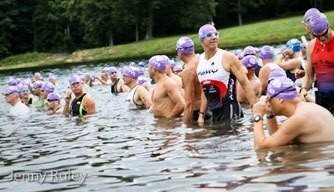 5) Water Temps – we will be taking water temp readings and sharing them on the Luray Triathlon Facebook page beginning Tuesday, Aug 16th. 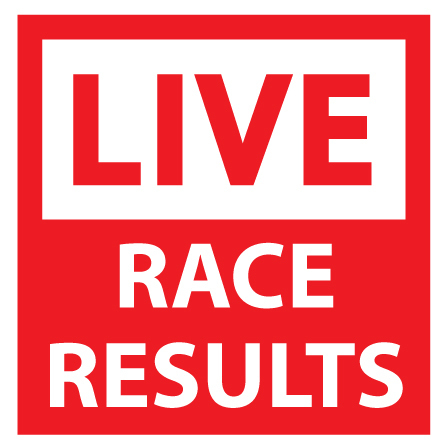 6) Live Results – we will be streaming results LIVE during the race. We will have a kiosk just past the finish line for you to check results. The LIVE Results can also be viewed via any web device. Please share this information with your family and friends so they can follow along with your race progress. a. For Smart Phones we will have QR codes around the venue for you to scan or you can print them here to scan. b. Here are the direct links to the Live Results. 7) Aquabike Finish – this year we will be asking our Aquabike finishers to come through the finish line to celebrate their finish. We will score the results for Aquabike based on the time each athlete enters T2. But we want all Aquabiker’s to then rack their bike and make their way over to the finish following the path that the runners take out of T2. If you get passed by another Aquabiker on your way to the finish it will not alter the results since the time stops when you enter T2. 1) Massage – we are excited to welcome back Fit Pro Massage who will be on site as our official Sports Massage provider. While this is not a free service you will be able to pay by the minute depending on your needs. 2) Bonzai Sports – we are excited to announce that Bonzai Sports will be returning as our official bike support on hand to cover your last minute pre-race bike needs. 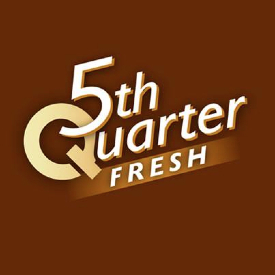 3) Chocolate Milk – we are excited to welcome back Fifth Quarter Fresh recovery chocolate milk, free to all participants! The milk will be available to athletes only at the completion of their race. 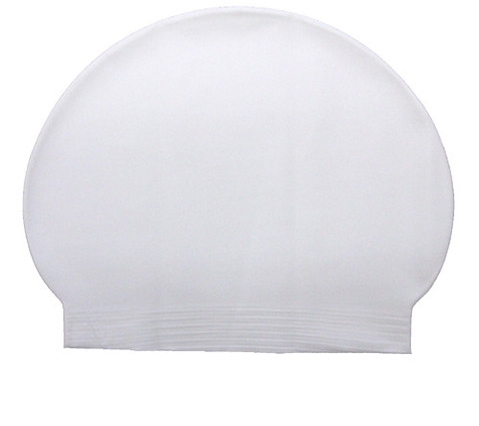 4) White Caps – we will have white swim caps available for anyone who desires to have extra visibility in the swim. These caps are for swimmers who want the swim safety team to keep a close eye on them. The caps will be available upon request at packet pick up. You will still swim with your assigned wave even if you choose to wear a white cap. 5) Swim Waves – We are working on the swim waves and should have them published by this Friday. 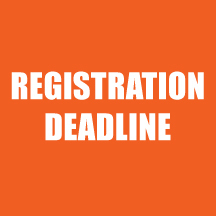 6) Registration Deadline – please help us spread the word that registration rates will convert to the $200 Charity Slots on Thursday, August 18th, so for those who want to save they need to register soon! 7) Athlete Guide – Athlete Guide will be ready on Friday. 1) Photos – Again this year, we are excited to inform you that all your race photos will be FREE!!!! 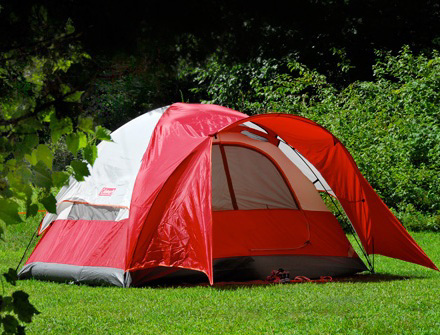 2) Camping – If you plan to camp at Lake Arrowhead Friday or Saturday nights, please contact the Luray Parks and Recreation Department right away to make your camping arrangements (540-843-0770). Details can be found on our lodging page, click here. 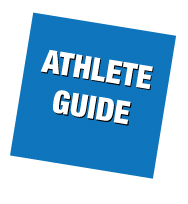 3) Athlete Guide – we will notify you when the Athlete Guide is ready. We will have it no later than a week before the race. 4) Race Swag – we are very excited about the race swag we are putting together for you! We invested more money in a higher quality poly-cotton blend Tech-T. Other items include: water bottles, gel, finisher medals, ice towels, custom swag bags and more! 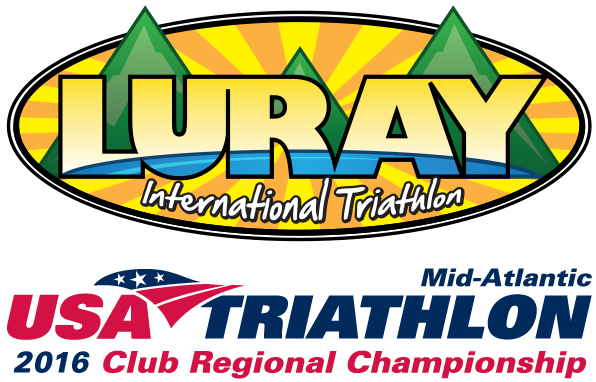 5) USAT Championships – We are excited and honored to be chosen to host the Club Championship on Saturday and the Short Course Championship on Sunday. 6) Hawksbill Double – All finishers of the Hawksbill Double will receive a special finisher award, to be revealed race weekend. So, if you are keeping track, our Hawksbill Double triathletes will get two finisher medals, two ice towels, and a Double award. You may want extra space in the car when you leave for Luray!!! International folks….it’s not too late to enter the Hawksbill Double! 7) Registration – We are still accepting registration for both races, so please help us to spread the word! Invite your friends and family to join you in Luray! 8) Giving – we want to thank all of you and remind you that your participation helps us raise money for the United Way of Page County. We also want to thank those of you who gave additional money during registration! United Way money is kept in Page County so you are giving back to the very county that supports this race! That’s all for now. We are super excited to see you race weekend! We wish you safe and successful training. 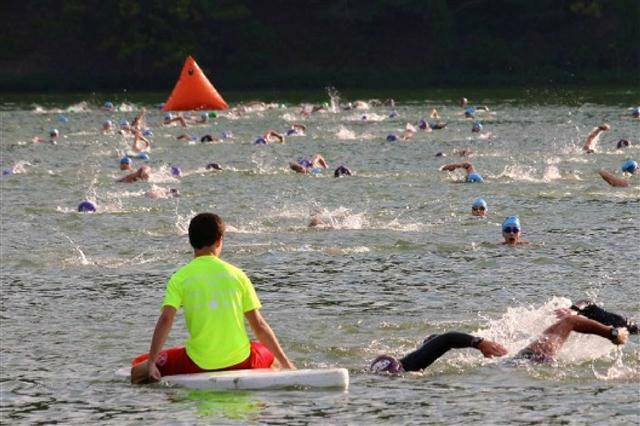 1) Official Swim Clinic – there is still time to register for the Saturday, July 30th Official Luray Triathlon Swim Clinic. We are excited to have the only Level 4 US Master Swim Coach, Dominic Latella! He will be offering some classroom style and in-water instruction. You can also come and just swim for a reduced fee. Check out the details here. 2) Club Name – your club name must be added to your registration if you want to help your team win the club championship. To do this follow these steps. 3) Club Championship – the International race will host the Club Championship on Saturday. Only Club members signed up as “Age Group” will be scored for your club. If you signed up for any other division and want to switch to the “Age Group” division please follow these steps. 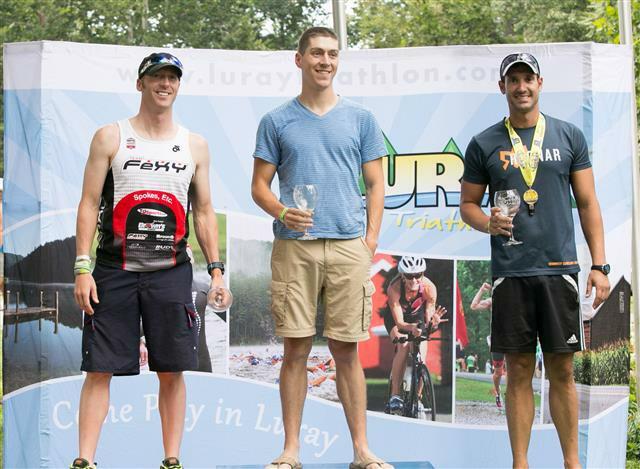 4) New This Year – we are excited to keep making improvements to the Luray Triathlon. 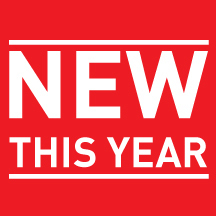 Here are some of this year’s changes. a. Carpeted swim entry and exit! 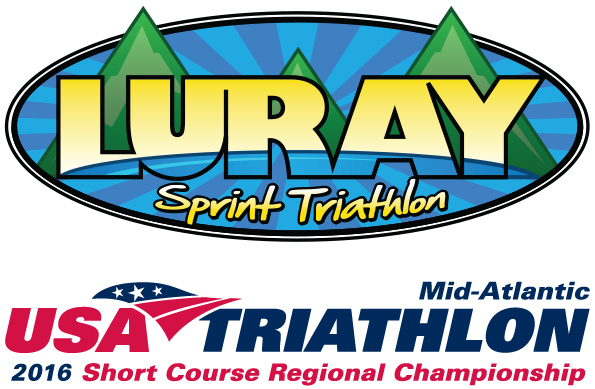 We look forward to seeing you at the Luray Triathlon!